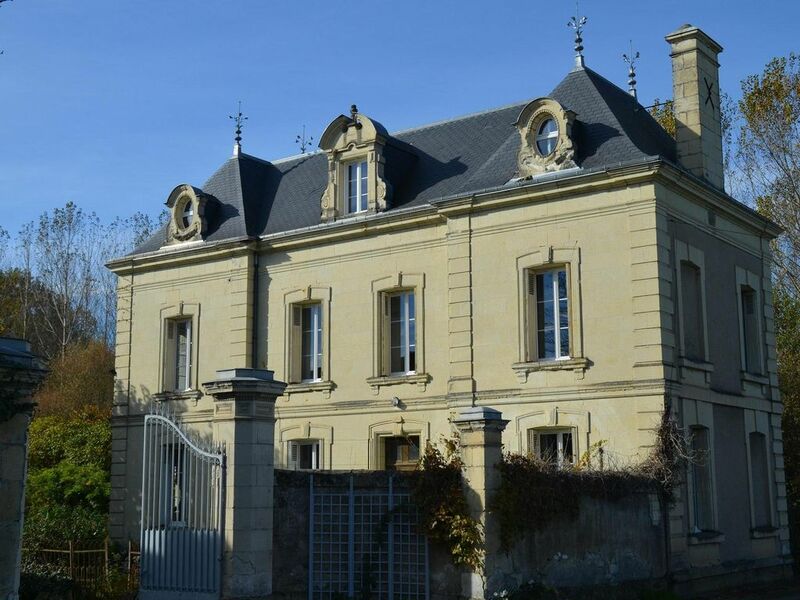 typical Touraine mansion, middle nineteenth, located 5 km from Chinon in the Indre et Loire (37). It is located near the castles of Chinon, Rigny-Ussé (castle of beautiful wood Beauty), Azay-Le-Rideau, Langeais (Indre et Loire), the castles of Montsoreau, Saumur and Montreuil Bellay (Maine et Loire) . The complete property consists of 2 houses and a poplar, crossed by a river, on which was built a water mill, hence the name of the property. Both houses are separated by a common portion with parking. The guest apartment built in tufa stone, the first of the two houses, surrounded by a private garden of 200 m2, with garden table, chairs, barbecue, griddle. It comprises the ground floor of a kitchen, a dining room, a hall, a toilet, and a living room, all on 85 M2 ground. The first floor of the same surface, consists of three rooms with double bed, a corridor and a bathroom with a toilet. The 2nd floor (attic) is not available for rent. The kitchen is equipped with a piano 5 gas hobs, a dishwasher, a washing machine and full kitchen utensils. The house is equipped with a box allowing the use of a landline with unlimited usage and internet throughout the house (all the rooms are accessible wifi except a room where you access the Internet via cable network). Television is installed in the living room; reception is effected via a satellite antenna. Each chamber has a double bed; one room has in addition to a cot. Belle prestation . Maison spacieuse et malgré l'age très bien agencée. Le propriétaire a pensé à tout pour mettre à l'aise les voyageurs. On se sent comme chez soi, le soir au retour de randonnées. Nous reviendrons dés que possible. Il y a tellement de belles choses à découvrir que d'autres séjours s'imposeront. Par ailleurs Monsieur BLANQUART est à l'écoute des voyageurs. Et c'est très appréciable.